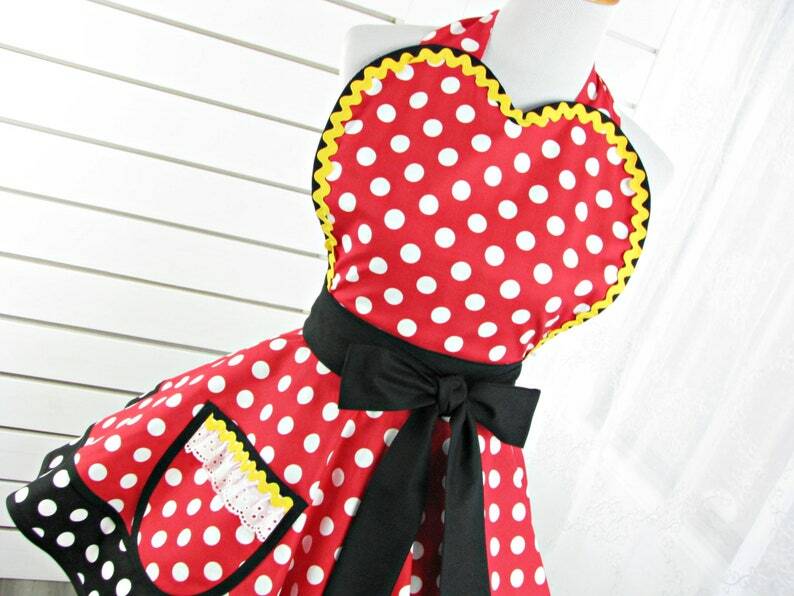 This is a Minnie-as-a-waitress, retro 50s diner waitress style apron, made with polka dot red fabric and contrasting black polka dots. It is trimmed out in yellow and black trims. Super cute, and makes a cute costume too. Most all of my aprons are retro 50’s diner aprons, and are made to look flirty and unique, with a hint of Mayberry, Candy Shop, Donut shop, flirty waitress, country picnic, barn dance, mom and apple pie.